Well August has been a very busy and exciting month at The Dive Academy. With lots of “Try Dives” in the swimming pool leading to lots of happy newly certified Open Water divers and Discover Scuba Divers who have all enjoyed the best diving conditions available. Along with many others furthering their education and becoming Adventure Divers, Advanced Open Water or Rescue divers. Big congratulations to all of you! Keep blowing those bubbles! Our VIP Snorkeling tours around Koh Tao have been proving very popular as well, so people of all ages and abilities have been able to enjoy Thailand’s beautiful marine life from the comfort of the surface. With black tip reef sharks, turtles and feeding schools of fish to be seen, all guided by one of our own Instructors, who wouldn’t want to join in! Although the weather on Samui has been a little unseasonal at times, the diving has been amazing around Koh Tao and Sail Rock; with great visibility and sightings of batfish, trevally yellow box fish, sea snakes, barracuda, turtles and even dolphins! It has truly been a great month for diving and snorkeling. Sadly no whale sharks though. We returned to the International School of Samui to train some of the Thai teaching assistants with Emergency First Response techniques and reminding them of all the good practices to keep their students safe. 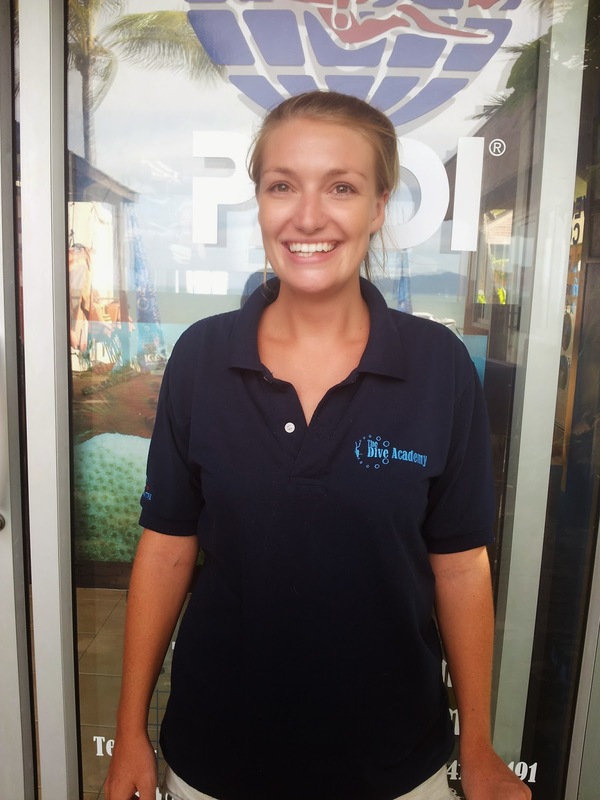 We have also had two new members of staff join The Dive Academy team in August. John Holland from Ireland is our newest OWSI after completing his IDC with The Dive Academy in June and Welsh girl Jennifer Baugh (Boff) is our new Office Manager. September will see us with more action and fun, so we hope you can come and join us in the coming months for some more amazing diving and remember for anyone that you recommend diving with us, we will give them a FREE Dive Academy t-shirt or PADI baseball cap! Thank you for commenting on our Blog. We will review your comment and decide if we are happy to post it on our Blog.